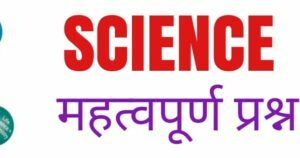 Physics related questions and answers Part 8 And Physics questions and quizzes, quiz on Physics, important Physics, important Physics and questions, general knowledge questions and answers related to general science And physics general knowledge objective questions answers are important in like RAS, IAS, UPSC, RPSC, 1st, 2nd, 3rd Grade Teacher, REET CTET, LDC, SSC CGL, IBPS, MBA, CAT, MAT, SBI-PO, RBI And Railway, Indian Army And all competitive Exams. Question. (1) What is the ampere unit of measure? एम्पियर क्या नापने की इकाई है? Question. (2) Who Has Vector Quantity? Question. (3) Who does not have a vector? कौन एक सदिश राशि नहीं है? Question. (5) What is a vector? कौन-सी एक सदिश राशि है? Question. (6) What is the physical amount obtained from the proportion of matter and the proportion of velocity? पदार्थ के संवेग और वेग के अनुपात से कौन-सी भौतिक राशि प्राप्त की जाती है? Question. (7) Rocket works on the principle? रॉकेट किस के सिद्धान्त पर कार्य करता है? Question. (8) Who has done the universal rule of gravitation? गुरुत्वाकर्षण के सार्वभौमिक नियम का प्रतिपादन किसने किया? Question. (10) What is the measure of Cusack? क्यूसेक से क्या मापा जाता है?